Wessobrunn-Forst (Germany), 26 September 2018 – The US partner of Schröder Group MetalForming Inc. relies on the industrial folding machines of Hans Schröder Maschinenbau. The exhibition FABTECH 2018 is a home game for the Schröder sales partner who is based in Georgia: The most important sheet metal working exhibition of the USA takes place from 6 to 8 November 2018 in the Georgia World Congress Center in Atlanta. On the booth B7511 MetalForming exhibits the motorized folding machines MAK 4 Evolution UD and SPB Evolution UD with tool changer as well as the PowerBend Industrial and PowerBend Professional. Aside from the power and precision of the folding machines MetalForming will particularly focus on the software control and the possibilities of semi-automated production. 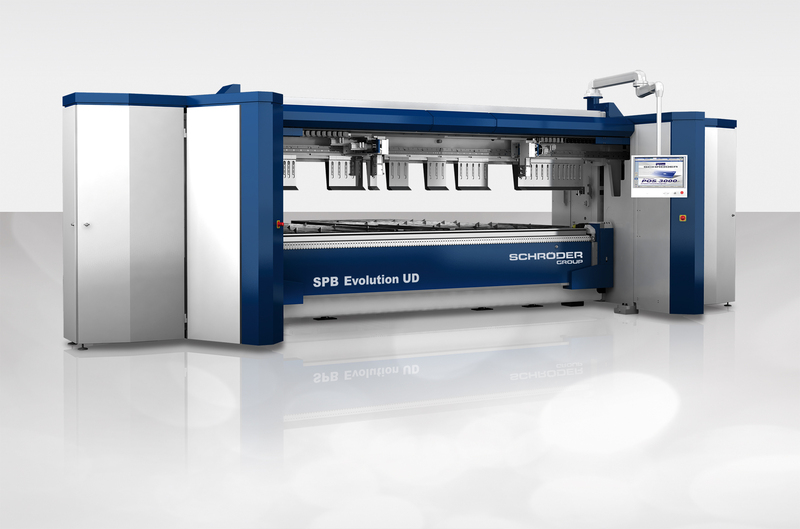 The Schröder folding machines MAK 4 Evolution UD for bending up to 6 mm thick steel sheets at a working length of 3240 mm and the SPB Evolution UD – 4 mm at a working length of 3200 mm – are both equipped with a fully automatic tool changer. Thanks to the combination of Up-and-Down folding beam and an innovative suction gauge both machines enable an extremely high degree of automated sheet metal processing. Therefore the sheet gets gauged on the horizontally positioned folding beam. The suction gauge fixes the sheet and positions it automatically for all bends that need to be done on the side aligned to the front. 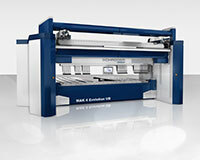 The whole bending process is controlled by the 3D graphic control POS 3000 developed by Schröder itself. The effort for a new gauging step or a manual action between the bending steps can be omitted. 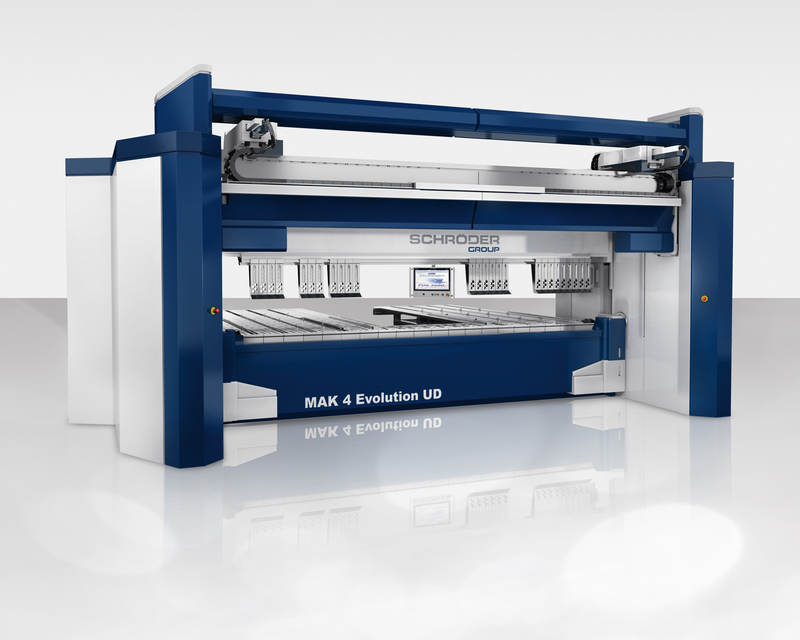 With the PowerBend Industrial 4,000 x 5.0 mm MetalForming presents another Schröder machine that is equipped with such a software control and the innovative suction gauge. With the PowerBend Professional 4,000 x 2.5 mm MetalForming shows a folding machine on the FABTECH booth that is extremely popular in the thin sheet metal processing industry all over the world. On this machine MetalForming is going to highlight the radius-step bending function. Both the standard software control POS 2000 Professional of the machine and the optionally available POS 3000 with DXF-Import offer the possibility to bend radii with any number of small steps. This not only saves time in many applications but also the investment into special machines.